Whether you are looking for instant and delicious gratification or wish to stock up on gourmet gifts to bring home; buying direct supports the local economy and gives you a tangible connection to the area. 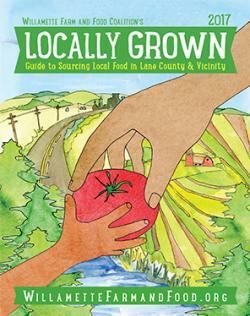 Eugene is known for producing lots of great local products from wine and beer to snacks and condiments. Sometimes you wish you&apos;d bought more! Luckily, many (but not all) local retailers sell their products online. The Eugene, Cascades & Coast Adventure Center in Springfield is also an excellent source of locally-made products. Grab a ready-made gift basket or put together a special basket for the UO fan, the wine lover, the beer drinker, the artist or the outdoor adventurer. Delighting locals and visitors with high-quality, impeccably made chocolates since 1981. Luscious, hand-dipped truffles have won acclaim in Chocolatier and other magazines. Now relax, stop and smell the chocolate. Locations: Oakway Center; 17th & Willamette; Stewart and Bertelsen; and 946 Willamette in downtown Eugene. Heritage Distilling Co. (HDC) is among the top premier craft distilleries in the United States, making a variety of whiskeys, vodkas, gins and rum from as many local ingredients as possible. HDC is the most awarded craft distillery in North America by the American Distilling Institute five years in a row (2014 - 2018). Their BSB - Brown Sugar Bourbon was recently named "World's Best Flavoured Whisky" from the World Whiskies Awards. They are open daily for tastings, bottle sales, cocktail supplies, barware, memberships, events and more. Families welcome! Wholesale, resale or catering supplies of fresh milk; ice-cream; blueberries; hazelnuts; peppermint; juices; and base mixes for shakes, sorbets, ice cream and gelato. Bottled within 48 hours of milking, hormone-free and distributed locally, Lochmead Farms milk is wholesome and delicious! 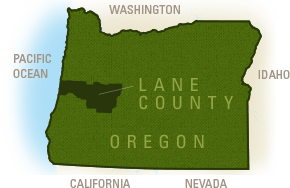 Serve products produced sustainably by a fourth-generation ranching family in the Willamette Valley that employs over 500 residents. Forty-four area Dari Mart convenience stores also offer Lochmead Farms products at the retail level. A modern urban mercantile offering botanicals. The new mercantile location in Eugene, Oregon will offer their most popular organic herbs, essential oils, teas, spices and other sundries. They take pride in their product quality, sustainable packaging and fair trade practices. In 2014, Mountain Rose Herbs became the first business in Eugene to become Salmon-Safe Certified. Their core belief is that people, plants and the planet are more important than profit. A splendid family-owned farm just outside Eugene offering u-pick pumpkins, flowers and Christmas trees. Colonial Harvest days in October, followed by the Christmas tree season after Thanksgiving. Enjoy tractor rides, seasonal games, gift shop and food. During these events, tour the 162 acre (66 ha) farm with cows, goats, pigs and turkeys. Right on the river, open grassy lawns with lovely landscaping and classic farm buildings are just right for group meetings, reunions or weddings.